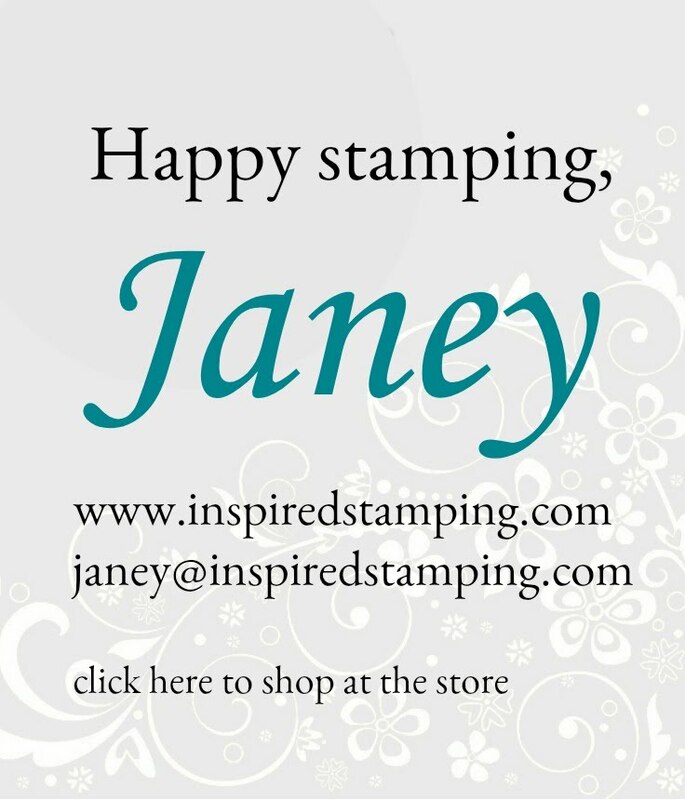 Hello stampers - surprise!!! Today we are holding a Paper Pumpkin Pop-up Blog Hop to feature alternate designs for the Be Mine Valentine kit. 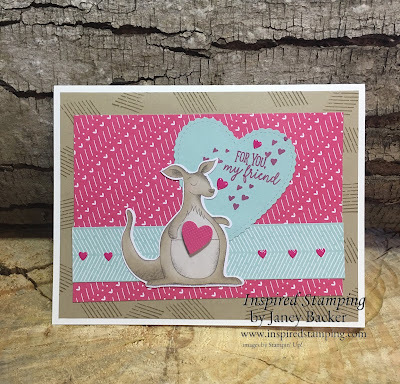 This kit is adorable and coordinates with the Animal Expedition suite in our annual catalog. I decided I wanted a card. 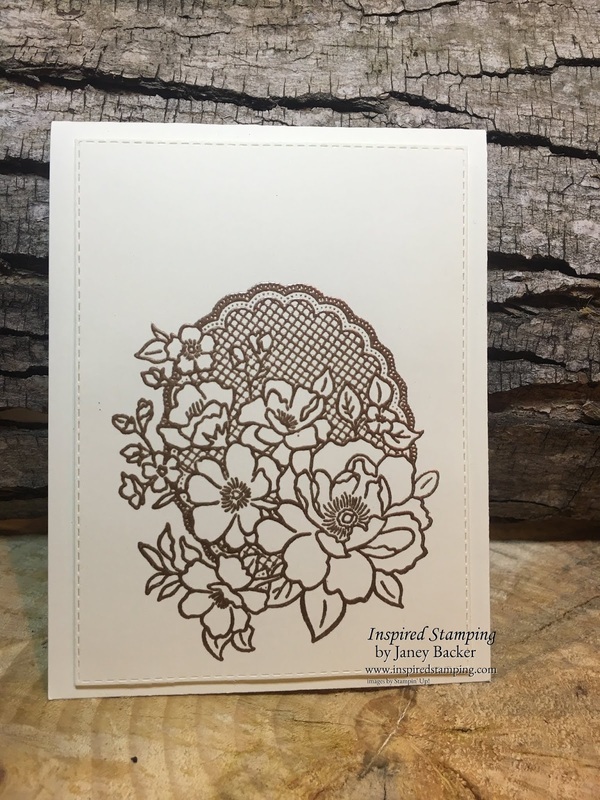 I used the stamps to create pattern on my Crumb Cake background layer. Then I cut the pillow boxes into rectangles, to use them as designer series paper. The heart stamps and enamel hearts are such a sweet coordinating touch. These are the colors that coordinate in this kit. You can stamp with any of these to complement the kit elements and add a fresh twist. Here are the intended pillow box projects made up as the kit was designed. Aren't the colors vibrant and extra-ordinary?!? The kangaroo is so fun. I loved the suggestion to cut along her pouch opening. 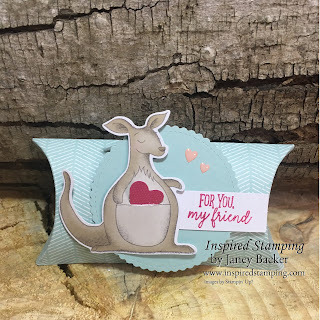 It was a whimsical touch to see the heart peeking out from kanga's pouch. I am really looking forward to using these pillow boxes to gift as Random Acts of Kindness during Valentine's week. I'm confident that the adorable decoration factor will bring smiles and then the sweet treat inside will add another smile. Be sure to order your refill kit so you will have plenty to share! 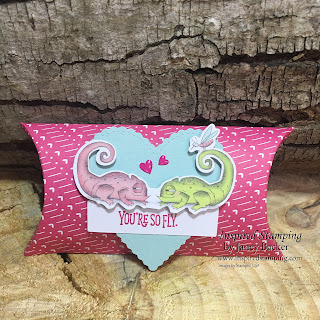 Please use the next button to hop over and see Tricia's creative inspiration for our Be Mine Valentine kit! Every Paper Pumpkin kit is uniquely created by Stampin’ Up! designers and concept artists. 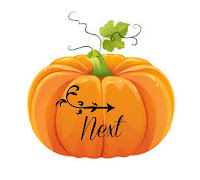 The video below gives an inside look at the creative process and what goes into developing a Paper Pumpkin kit. February's kit makes 9 full-sized cards in 3 unique designs (3 of each design). 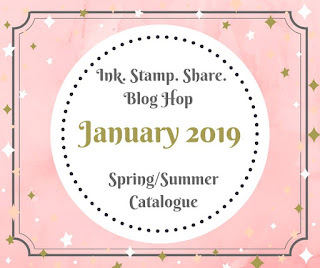 Contact your demonstrator to get started, or if you don't have a demonstrator you can subscribe here for February's kit! Don't miss out: if the kit subscription amount is met early, then subscriptions have to be shut off before the February 10th deadline. 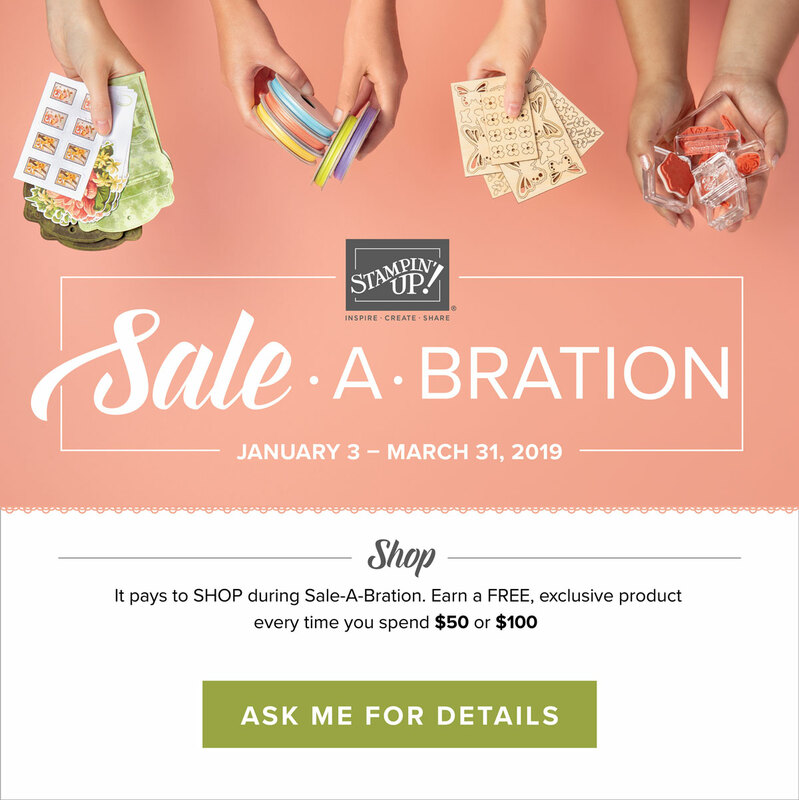 Sale-a-bration is the most wonderful time to shop! 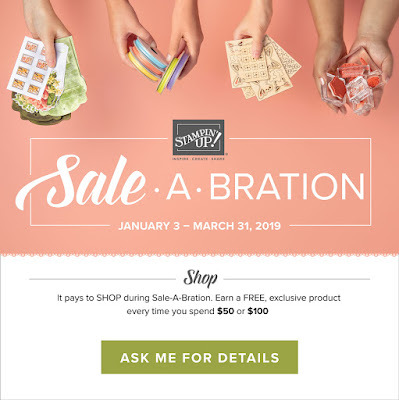 You receive a free gift from the Sale-a-bration brochure for every increment of $50 (level 1 gifts) or $100 (level 2 gifts) ordered. 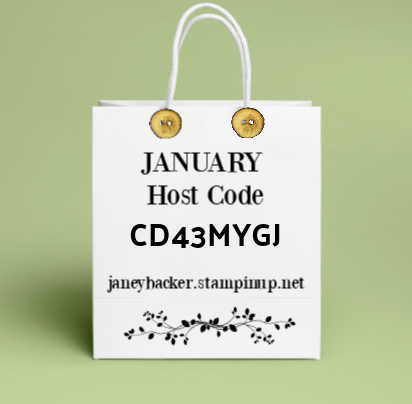 Orders of $150 will earn their own Stampin' Rewards and the January IDEAS tutorial bundle. Hello crafty friends! 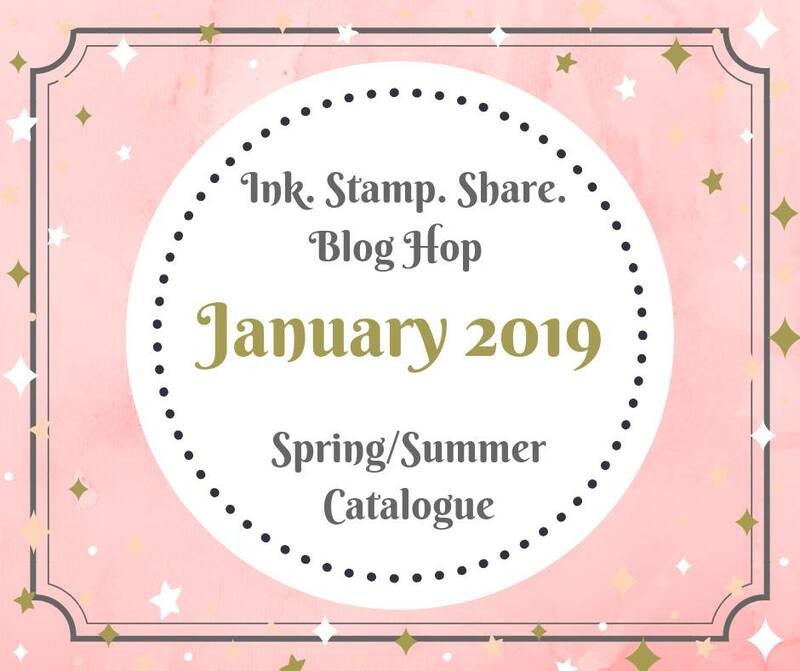 Welcome to our monthly Ink.Stamp.Share. 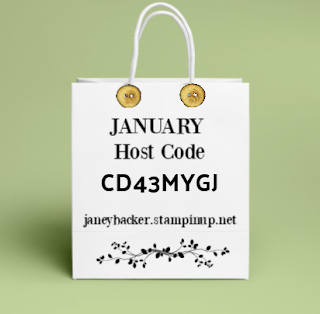 Blog Hop as we share our Occasions projects with you. Except I got excited and made a Sale-a-bration based project. My card features the Lovely Lattice stamp set and the spectacular Rectangle Stitched framelits dies (which are in the Occasions catalog). 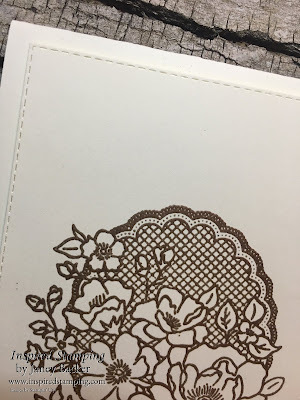 I used our Copper Embossing Powder to heat emboss the image onto the Very Vanilla card stock. 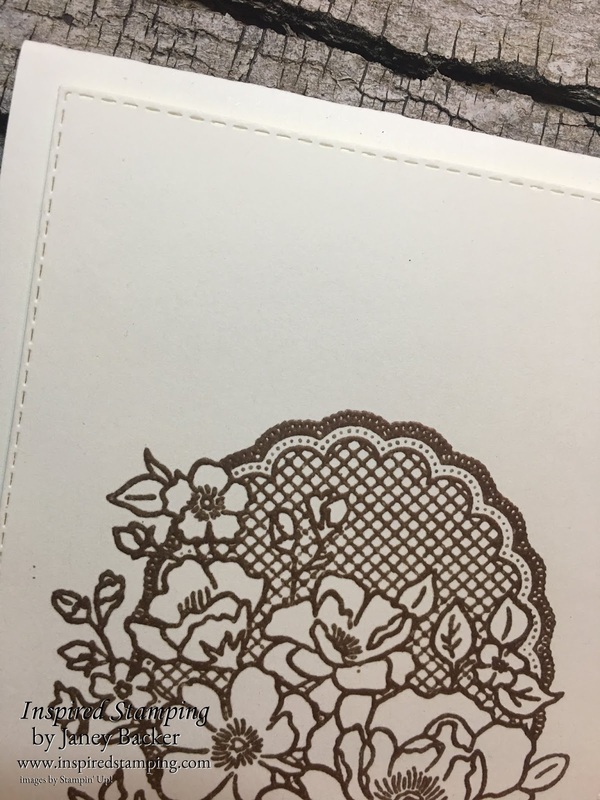 Here is a close-up to see the Stitched rectangle details on the card front layer. The Rectangle Stitched Framelits are unique that they create the embossed stitched effect on the inner and outer edges of the rectangle it cuts. 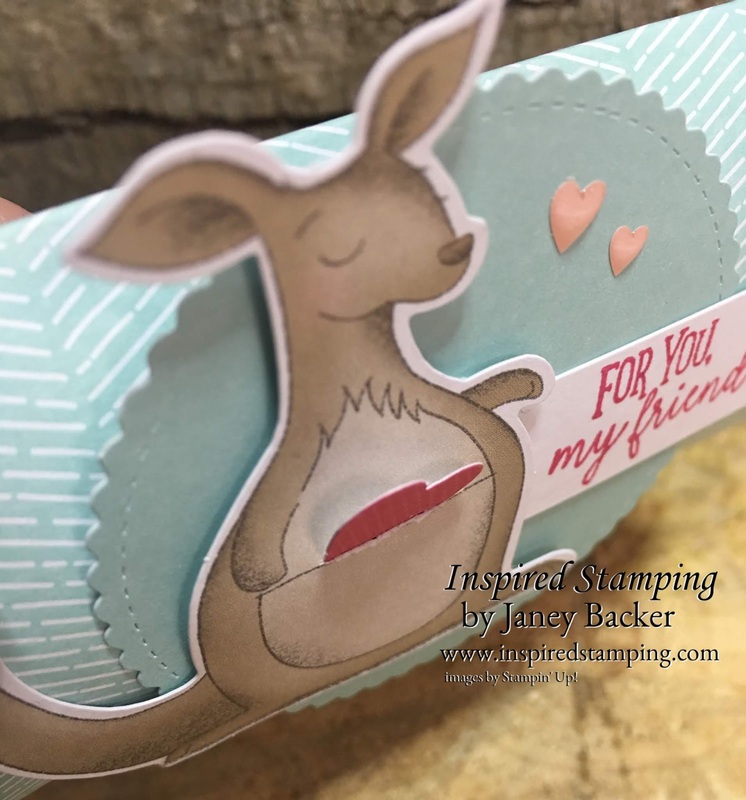 This creates double versatility from each die - such a smart and efficient design by Stampin' Up! 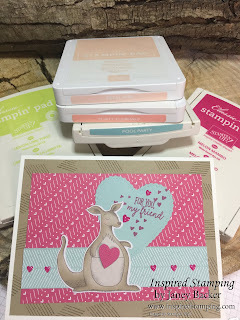 I know you will love using these products in your stamping studio. Be sure to order your favorite new products and start using them in your stamping projects! 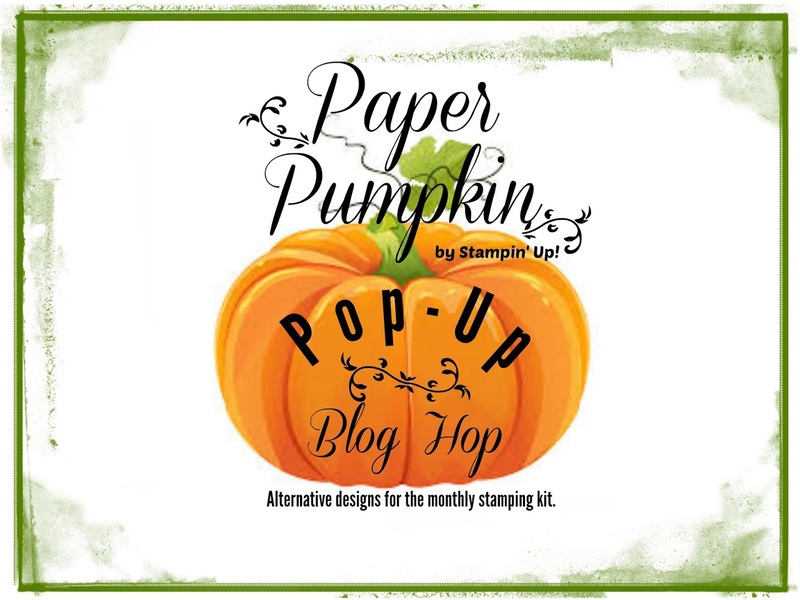 Laura is the next designer in our blog hop. 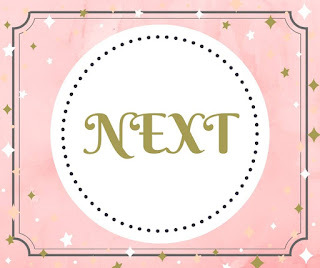 Click on the Next button below to arrive at her blog. The entire list of participants is below the button. Please contact me or your demonstrator with any questions. If you don't have a demonstrator, then I am happy to help you get started with an order.